Look at the picture below of Chen Xiaoxing at his recent camp at the Chenjiagou Taijiquan School. His dynamic explosive movement is combined with an expression of focused calmness. Laozi's Daoist classic the Daodejing succinctly states that: "The heavy is the root of the light; the quiet is the master of motion". This is not the quietness of docility. Instead it is the supremely balanced place where a practitioner is not fixated on any one thing, whether it be an opponent in front of you, an intended technique, or a preconceived idea of any incoming attack. Rather, in a neutral and balanced state, possessing the ability to change instantly from one state to another. In Taijiquan parlance, "strong in eight directions". Chen Xiaoxing - "stillness in motion"
To achieve this all the practitioner's senses must be activated - feeling the sensations of lifting the head while sinking the body to be rooted and heavy; expanding the body, listening behind... In tuishou there is even a saying that you "should try to smell your opponent". What is required is the use of all the senses to get a true reading of a situation. Chen Xin writes: "Eyes level gazing forward, shining into all four directions". This means that although the eyes are directed forward, one must be aware of one's surroundings. The spirit should be like that of a cat stalking a mouse. The direction of the eyes is in accordance with the body's movements. The eyes act as the forerunner of the mind. Again to quote Chen Xin "Of a hundred boxing skills, the eye is the vanguard". But behind the eyes it is the mind that maintains inner awareness. The mind, that gives the command to act. It is therefore important to keep the intention of the mind consistent with every action. 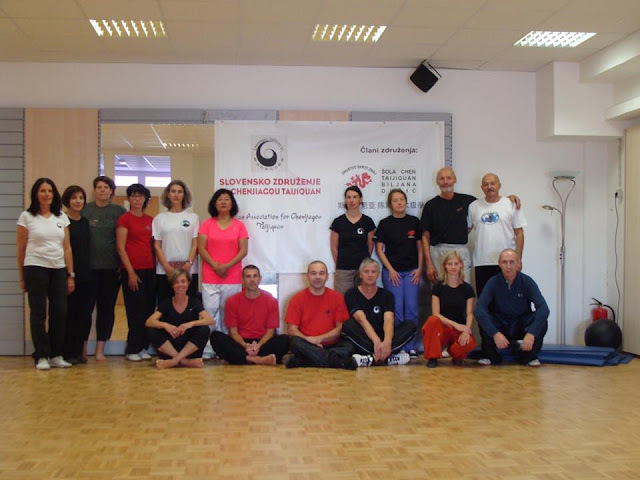 We were in Slovenia last week teaching workshops for the Slovenian Chenjiagou Taijiquan Association organised by Biljana Dusic and Dragan Lazaravic. Great to see the group progressing year by year! 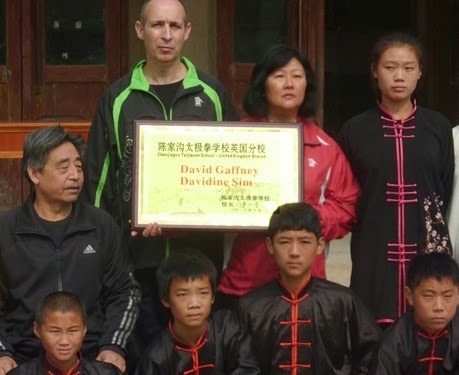 In 2015 Chenjiagou Taijiquan GB, with the assistance of the Slovenian Chenjiagou Taijiquan Association, organised the First Chenjiagou Taijiquan School Advanced European Taijiquan Training Camp held at the fantastic Olympic Training Centre in Planica. Grandmaster Chen Xiaoxing, assisted by his two sons Chen Ziqiang and Chen Zijun led a week of intensive training. It was an international event with participants from the USA, Slovenia, Italy, Russia, Croatia, Germany, Hong Kong, and the largest group from our school in the UK. Grandmaster Chen Xiaoxing will be conducting another camp in Planica in 2018.